The cargo version of the Boeing 747-8 is a really nice looking airplane from most angles, but I’ve got to admit that this side profile view isn’t very flattering. This is a very long and lean aircraft, and viewing it directly from the side like this only exaggerates those proportions to levels which seem a bit comical IMHO. The problem is no doubt caused by the shortened second-level “hump” just behind the cockpit windows. It sort of reminds me of a lump on the head, just like you used to see when Tom and Jerry beat the ever-living crap out of each other during after-school cartoons. It doesn’t look right at all from this angle, and the lack of windows down the side of the fuselage doesn’t help either. “Tubeliner” is a totally appropriate term here. I just read yesterday that Boeing has slowed down 747-8 production once again to .5 airframes a month. That’s unfortunate considering how good of a commercial airliner this is. 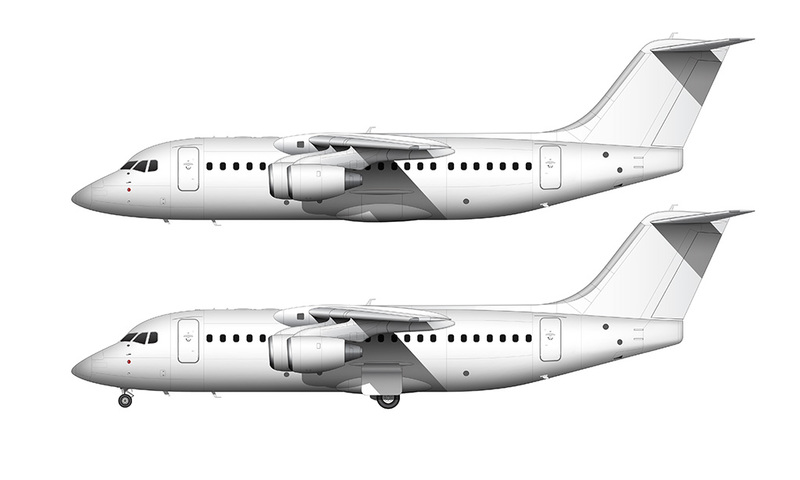 It’s even better in cargo configuration, but four-engine aircraft are quickly falling out of fashion these days thanks to how good (efficient/reliable) twin-engine competitors are becoming. The US government wants a 747-8 for the next Air Force One, and since interest from the airlines is drying up fast, it’s likely the two AF1 frames will be the last. That’s just my opinion of course, but the future isn’t looking good for the 747. 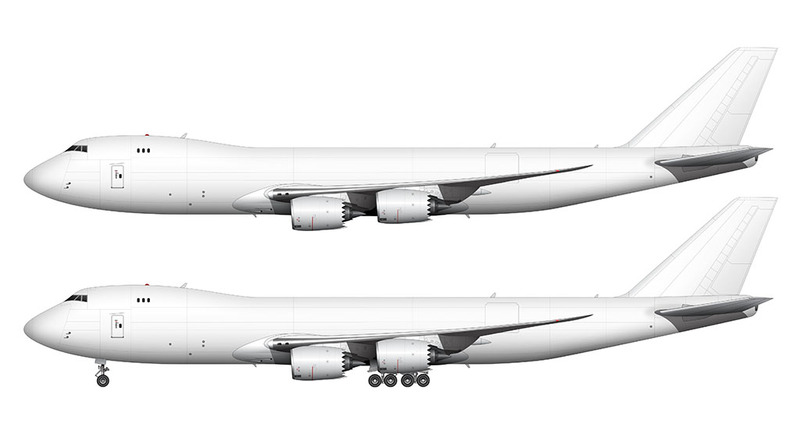 With this 747-8F, I’ve now got three 747 templates available (the 747-400 and 747-8i). The 747 has always been my favorite commercial aircraft, so I’m itching to fill in the blanks and create illustrations of all the other variants to make my collection complete. 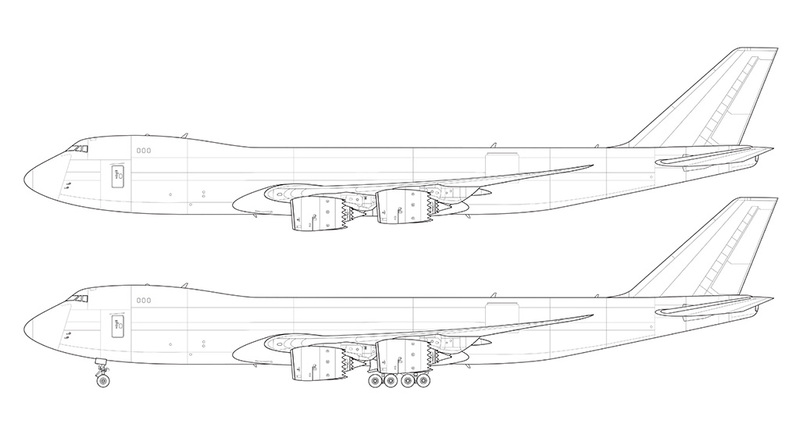 The 747-100 and -200 are similar enough that I could create both at the same time, and the -300 (with the stretched upper deck) shouldn’t be too difficult based on how much it shares with the -400. Famous last words I know. I always assume these things are going to be easy but it never really works out that way! It’ll be cool to see a side by side comparison of the various models when you finish them. Definitely! 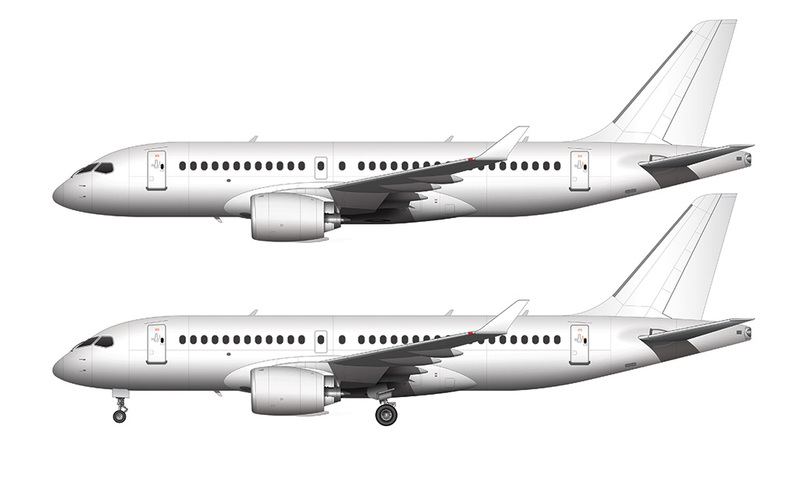 I’ve been thinking about what happens when I run out of airplanes to draw (haha), and it’s likely that I’ll start doing compilations of these illustrations to document the differences between each version. That’s still a long way off though – there are still many more templates to create first! can i print this???? these are amazing!! Found your drawings while looking for something to laser engrave on the clipboards we use in the cockpit. I like the drawings Scott, but it seems you’ve got the main deck cargo door wrong. It needs to extend down some, to the same level as the bottom of the L1 door. Thanks for letting me know! Sometimes I get so focused on making these templates look good that I miss little details like that. I’ll add the fix to my to-do list!